There are many different types of trusts, and they can be complex to set up and execute. However, a trust can be a very flexible and advantageous means to transfer your assets in the future. Most trusts can also provide current benefits, such as tax deferral and deductions. Unlike a will, a trust may help avoid probate upon your death. To learn more about trusts and how they may benefit you, we will be happy to help you consult a qualified estate planning attorney who can assist you with these issues. Hope is not a very reliable strategy, so if you want to own your future, you must begin to plan for retirement ... today. We want to help. Please contact us by filling out the form below, or by calling us at 615-678-6603. We can meet with zero obligation on your part. If you can invest one hour today for a Customer Care Needs Analysis discussion we can place you on the path toward owning your tomorrows. 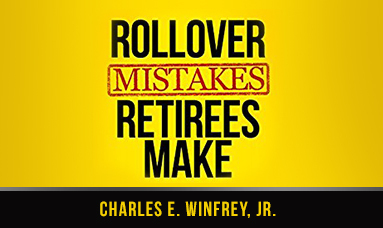 Request a free copy of Charles' new book "Rollover Mistakes Retirees Make." Enter your full name and email address below to request your free copy. Investment advisory services offered through Brookstone Capital Management, LLC (BCM),a Registered Investment Advisor. The Rollover Company, Inc. and BCM are independent of each other. 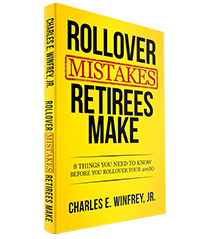 Charles Winfrey and/or The Rollover Company are not affiliated with or endorsed by the Social Security Administration or any other government agency. Any comments regarding protection and preservation of assets refer only to fixed insurance products. They do not refer, in any way to securities or investment advisory products. Fixed Insurance and Annuity product guarantees are subject to the claims-paying ability of the issuing company and are not offered by Brookstone Capital Management.